Bjøntegaard has a long and proud history. The place was built as a staging post in 1894, and was thereby a natural crossroads and meeting point in Hanestad in the heart of Østerdalen for well over 100 years. In 1946, the owners Jens and Margit Bjøntegaard started offering school camps for the first time. In 1982 they handed over their life’s work to their son Ole. He developed the company with school camps in the spring and autumn in 1995, and ran the place until 2009. Ingun and Lars Erik Bjøntegaard are now the third generation wishing you welcome to a different and exciting vacation. It is still a family business – and the legacy and good tradition is carried on. The first years there were school camps for children down to 3-4 years of age in summer, winter, Christmas and Easter vacations. Many of the children spent up to four weeks at a time at the summer camp with Margit and Jens. Because they enjoyed it and it was fun! 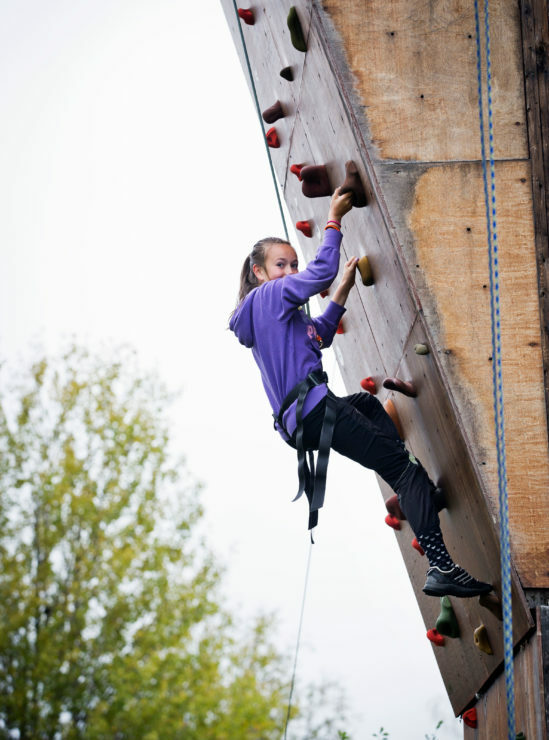 There was a lot to do and many fun activities at the idyllic place surrounded by water, forest and mountains. Margit and Jens loved children. That was why they filled their place with lots of kids every year when the grass turned green at Hanestad. In between they managed to have their own four kids: Ida, Ole, Anne Cathrine and Sigvart. It wasn’t possible to come closer to nature than at Bjøntegaard, and Margit and Jens were masters in giving the children that visited good experiences and memories based on the natural advantages of the area. 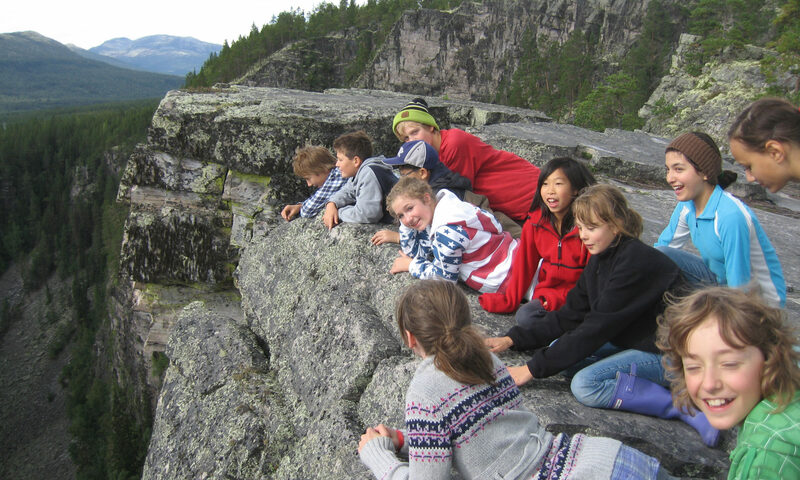 For the kids coming mostly from the Oslo area, coming to summer camp at Hanestad was like coming to a different world! 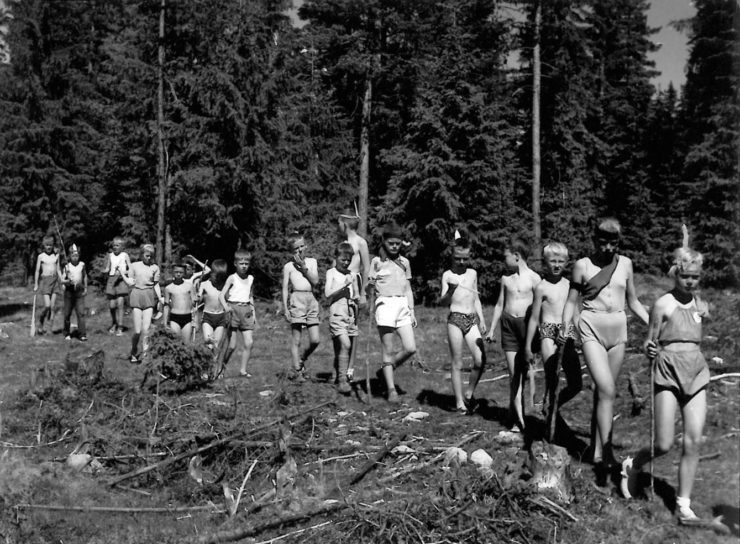 Since the first summer camp in 1946 there have been hundreds of kids here every summer. Still lasting friendships are made between children from many parts of the country in the course of a few weeks of summer camp at Camp Bjøntegaard. Memories for life are still created through social activities and play. The horses, pigs, ducks, sheep and rabbits are here like before. There is swimming, fishing and hiking in forests and mountains, just like in 1946. Welcome to a different holiday experience!